So, you’re bringing the kids, Nana, Pop-Pops, Auntie Sarah and Uncle Bob on your vacation to Boulder? Great choice! You’ll have no trouble finding activities for everyone to enjoy while you’re here. After five false starts getting out of the hotel door, you'll be ready for fun! 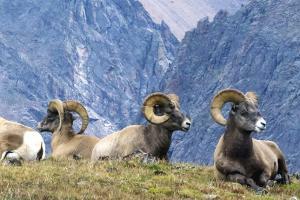 Head to one of these attractions or tours and rest easy that everyone will have a good time. Boulder is home to several federal research facilities, two of which you can tour. They&apos;re the perfect multi generational activity, as older members of your party will love the educational aspects while kiddos will be entertained by the hands-on parts. • Ever touched a cloud? Created a tornado? Your family can do both at the National Center for Atmospheric Research (NCAR) visitor center. 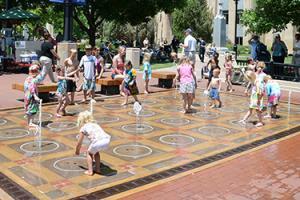 Take a noon tour Mon, Wed or Fri. Or go the self-guided route. Start in the NCAR theater to watch a fascinating video called "Air, Planet, People" and walk the scenic Walter Orr Roberts Weather Trail located behind the lab. • National Oceanic and Atmospheric Administration (NOAA) tours take place at 1pm each Tuesday and include stops at several working portions of the laboratory where you&apos;ll be the first to learn the national weather forecast. A high point of the tour is the Science on a Sphere stop, which involves a very cool and very large animated globe. If your children or 5 or older, the Celestial Seasonings Tea Factory won&apos;t disappoint. Free, 45-minute tours occur every hour on the hour. Arrive at least 15 minutes early to ensure a spot on the tour and time to sip unlimited tea tastings. Kids get a kick out of the peppermint room, and grownups will enjoy the art gallery, too. The CU Museum of Natural History is a treasure trove of more than 4 million objects, from dino bones to Colorado&apos;s largest collection of bee specimens. Grandparents may enjoy the museum’s anthropology section, with its collections of Southwestern pottery and textiles and Navajo and Pueblo silverwork, while kids should head to the basement to play with a small collection of hands-on exhibits, puppets and learning kits. Your party can opt to split up, too, with older members heading to the worthwhile CU Art Museum, not too far across campus. Also on the CU campus is Fiske Planetarium, whose 65-foot diameter dome is the largest between Chicago and Los Angeles. Check the schedule for family-friendly films like, “We Are Stars,” a visual exploration of cosmic chemistry and our explosive origins on Earth. 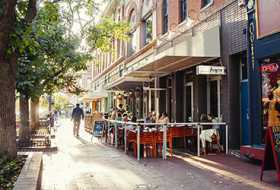 Boulder&apos;s historic downtown centers around Pearl Street, which is lined with shops and eateries. There are climbable sculptures, rock gardens to play in, street performers, a splash pad for summer, candy shops, coffee shops for hot chocolate in winter, and much more to explore. 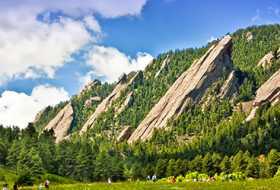 The City of Boulder Open Space and Mountain Parks (OSMP) offers an ongoing series of educational nature programs on topics including ecology, wildlife, local history, night hikes and children’s programs. All are free and open to the public. Just check the schedule in advance. Grandparents and older members of your party might need a break from the kid-focused action. These choices combine mature interests with unique things to do. Eccentric characters and surprising events color Boulder&apos;s past, which you&apos;ll learn about as you see some of Boulder&apos;s best sights. 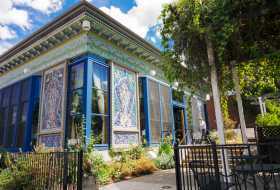 Boulder Walking Tours&apos; experienced guides can steer you through the historic Hotel Boulderado, pioneer neighborhoods, Pearl Street Mall, the neighborhood of Mork & Mindy&apos;s famous TV house, public art, and eTown Hall. In 1898, the Colorado Chautauqua was built at the foot of the red rock formations known as the Flatirons. It was a family retreat created in the tradition of national Chautauquas of the time, focusing on culture, music, and nature. During summer, you can enjoy the Colorado Music Festival classic concerts at the Chautauqua Auditorium or catch the Silent Film Festival in the summertime — live accompaniment is played as the soundtrack for silent films. Dinner on the porch of the Chautauqua Dining Hall makes a great pre- or post-show experience. Every evening holds a different performance at the Dairy Arts Center — or just "The Dairy" to locals. Catch a theater or dance performance, see an arthouse flick at the Dairy’s Boedecker Cinema, or simply stop by to admire the exquisite local artwork on display in the galleries. 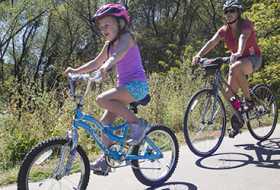 If not everyone is ready to power around town on a bike, consider renting electric assist bikes for an extra boost. It’s a great way to get everyone out in the fresh air. University Cycles rents them by the day. Boulder has a high number of bookstores per capita, and many of them are excellent for browsing and buying. Try the Boulder Book Store, Trident Booksellers or the more eccentric Beat Book Shop. You can also delve into Boulder’s literary scene. The best perk of bringing the extended family on your trip is the free babysitting. If you can sneak out for an adults-only evening, here’s what to do. You’ll be in good hands with the seasoned mixologists at The Bitter Bar, one of Boulder’s original craft cocktail hot spots. Start here for drinks, preferably to catch their excellent happy hour. The iconic, art deco-styled Boulder Theater is an acclaimed venue for live music performances by the likes of Shawn Colvin, the Pixies, Seether and Steve Earle. Hey, you don’t get out much! Really treat yourselves at this up-up-upscale restaurant perched above Boulder with views for days. The Flagstaff House is a popular place for special celebrations. With an interior that manages to be swanky yet laid-back at the same time — think faux-fur throws and low lighting — Bramble and Hare is a romantic setting for down-to-earth (yet sinfully delicious) cuisine, sourced from the chef’s own farm. This is also one of the few restaurants in Boulder that’s open into the wee hours. 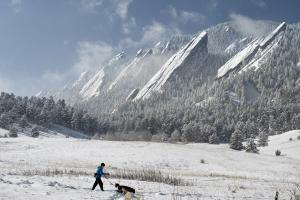 What's the Best Time of Year to Visit Boulder?